In October we are all reminded to THINK PINK. I am going to send this card to one of my sweetest friends. She just happens to be a cancer survivor and a great inspiration to me. I didn't know her when she was sick, but I know she was brave and that her husband, children, and God saw her through. I am proud to call her my friend. 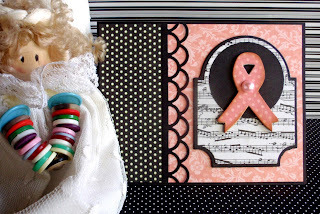 The black border was cut using the Double Scallop Border from MFT Stamps. The other dies are all from PaperTrey Ink. 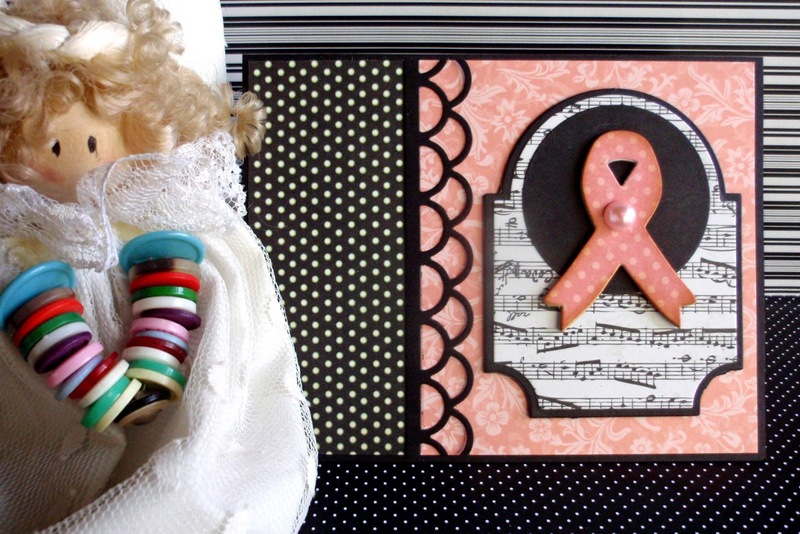 The ribbon die is called Faith and Hope. The other two dies are the Mat Stacks 3 and the Layerz Mat Stacks 3. I hope you are having a good day and a good October. Fall is here and winter can't be far behind! Right? Hope to see you tomorrow. I have a cute banner to show you then.